The Snap Lock™ held the knife world in rapture when it won the Most Innovative Knife Award at the 2004 Blade Show. We’re breathing new life into this unique everyday carry folder. If you think that it might be all show and no substance, spend a mere minute with it and you’ll do a 180° swing yourself. The stainless steel blade has a subtle drop point shape. When closed, the matching wishbone frame is a 100% effective blade edge guard. 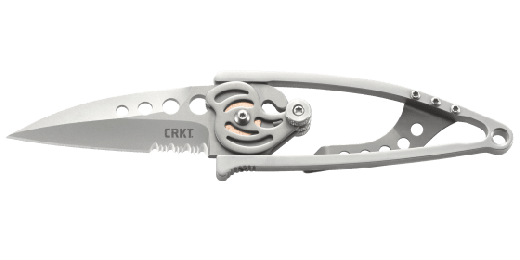 The unique open mechanism becomes instantly intuitive once you push down on the front cam lever then rotate the blade outwards for a full 180°. 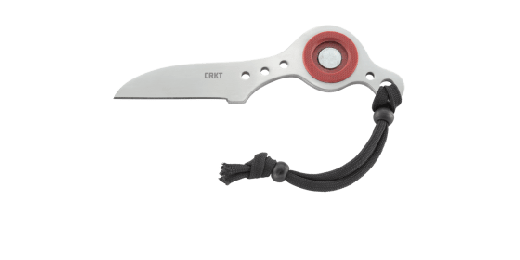 The handle features a one position pocket clip for convenient carry. This knife made history, get your hands on a piece of Ed’s leg-acy with the Snap Lock™ reissue.